The M1005’s anthracite finish will be derived from cellulose acetate. Like its predecessors, the cap, section, and piston knob will be made of black resin offset by palladium plated furniture. The M1005 is a hefty pen measuring 5.79 inches long when capped and weighing an impressive 1.14 ounces. The stated ink capacity is something like 1.35mL. The trim on the body includes two rings at the piston knob and one on the section while the cap will sport two bands at the lip with a palladium plated single chick logo on the crown. The nib is a monster sized shard of 18C-750 gold completely plated in rhodium, giving it a monotone appearance that blends nicely with the rest of the aesthetic. The sheer size of the nib imparts a springy feel with an added character largely absent from the rest of the Souverän line-up. It should be available in the standard sizes of EF, F, M, and B with the caveat that the EF version will likely run you extra. Pricing will vary by vendor and country with current details suggesting that those in the U.S. shopping overseas can expect to pay somewhere around $600-650 before any discounts are applied. Domestic pricing here in the U.S. has yet to be announced but will almost certainly be a few hundred dollars more (I’m guessing somewhere in the $800-900 range). Unlike the prior models of the same finish, I would not anticipate either rollerball or ballpoint versions to accompany the fountain pen. The M1005 Black/Anthracite Stresemann is slated for a mid-February release putting it out about a month ahead of the 1929 Herzstück. It looks like this will be a special edition release rather than a regular addition to the line. This means that these won’t hang out for long once the production run is over. I adore my M405 and M805 Black/Anthracite versions of this finish but they do pale somewhat against the M815 Metal Striped which came out last year. I can’t help but feel that the Stresemann should have been what the Metal Striped is. Because I already own two different sized pens with the same finish, I feel comfortable passing on this one but I’m sure this will be a must have for many, particularly those who have lamented the lack of new and relatively affordable finishes amongst the line’s flagship. I have heard many comment that the release of this one would equate to instant grail status. 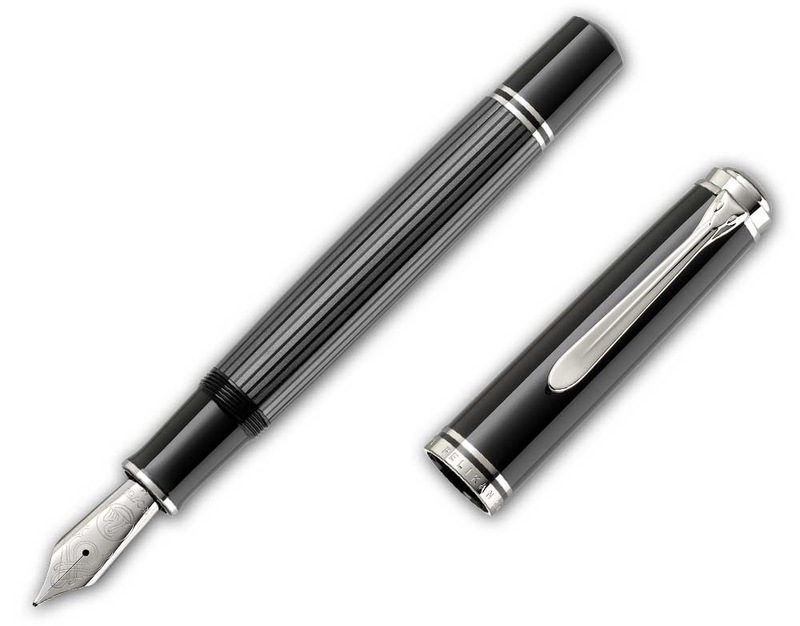 The only active production Souverän now missing the anthracite pattern is the M605 line and I’ll be interested to see if Pelikan makes moves to remedy that in the next year or two. UPDATED 1/19/19: Post updated with higher resolution as well as additional photos. The text was also updated to reflect the fact that this will be a special production model instead of a regular addition to the line-up. Great news Joshua! This one is a must have for me, I love the grey Stresemann look. Yes, the Metal Striped is much showier, but I fell for this one first. 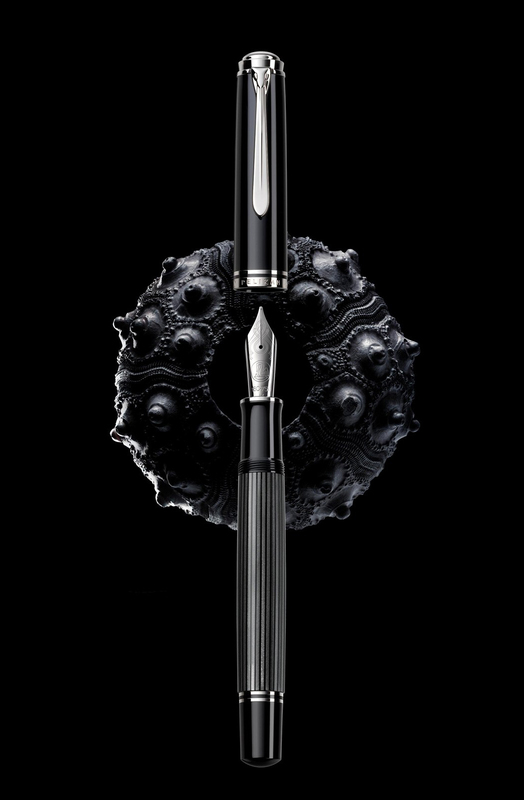 I plan to preorder one as soon as I see how the pricing settles out… it will be my first new pen of 2019. And as always, thank you for a great article with some good news! You’re welcome. This will make a great first pen of the year. I think that the pricing I have seen from overseas vendors looks pretty good. Depending on the exchange rate, I’m looking at $530-545 from several vendors once discounts are applied. An EF nib is going to add around $50 to the price of this one. Even so, I’m seeing something more in the range of $575. Yes, without Vat and with coupon code the prices aren’t quite as sturdy as the full list that was first showing online… thank goodness! Indeed! I’m seeing more variability in pricing lately with some of the newer models so it pays to shop around a bit. Thanks for reading. I appreciate a fellow enthusiast with restraint. Sadly not my strength. The price of the pen, I find, has no correlation to how well it writes. Many factors go into that. The paper and ink you choose and the way you hold your pen make big impacts. Also, expensive pens may not come with the best aligned tines which I find is the most common cause of lack of smoothness. Usually this is easily remedied. I try to always budget in the services of a nib meister when buying a new pen. A tune and smooth is usually fairly cheap and can be quite satisfying. Thanks for the news; glad it’s being added to the line! I have the M805 as well. So, I think I’ll pass. Although, I think it’s a great looking pen. I agree though that it’s less attractive than the metal striped. Have yet to receive a M1XXX. I like the M8XX size so well, I just haven’t gotten one yet. Since I haven’t gotten a green/black Pelikan I may get a M1000 in that color or I may stick with M800. I just haven’t decided yet. Been debating for a while. I would like to try a M1000 nib though. The M1000 nib definitely needs to be experienced. It is definitely worth it. Best of today’s modern line up. I do have the M805 and my wife the M405. And I also agree that the M815 Metal Stripes looks much better than the Stresemann. 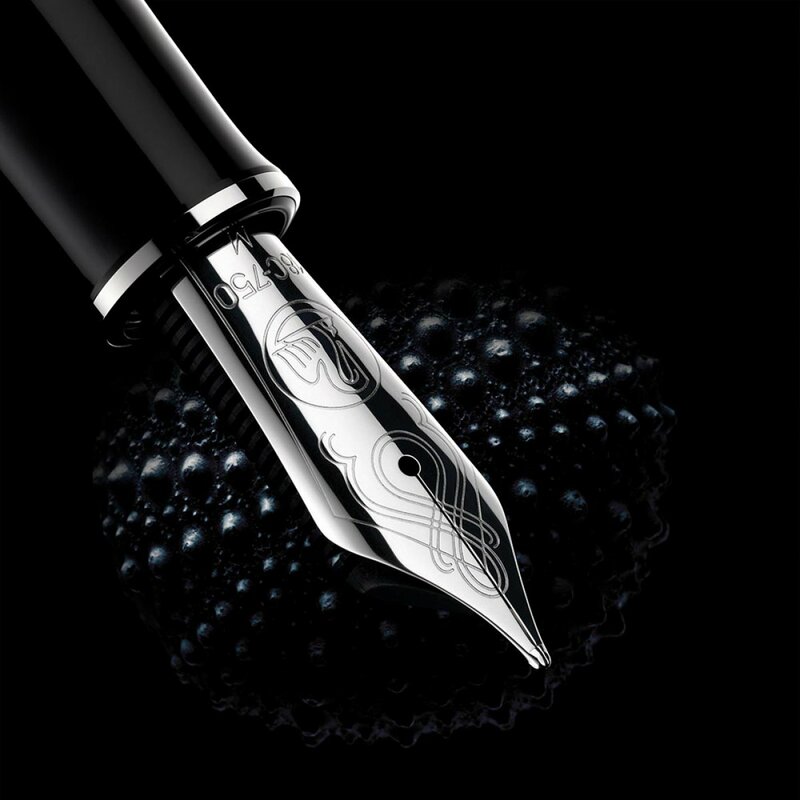 Still, its very likely that I’ll get this one, since Pelikan rarely releases a M100x. Have you heard if this is a SE or regular addition to the line? It would be awesome if they continued to offer this as a regular production. That is what I’ve been struggling with as well. I don’t need the finish since I have the M805 and M405. This is a special edition so it will only have availability for a limited time. I hate to miss out but I still think I’ll let others enjoy this one. That will let me save my pennies for the 1929. Those who want to buy, should not forget that it is a special edition, i.e. time-limited. Very true. Thanks for the clarification. I didn’t have the definitive word on that when the post originally published and have updated it accordingly. Having the Metal Striped pen obviates the “need” for this model for me. However, Pelikan got me with the Herzstuck model, so Pelikan is still coming out ahead, as it always seems to do! Too true. I’m definitely single handedly paying somebody’s salary over there.